Be the first to hear about their new releases and deals. 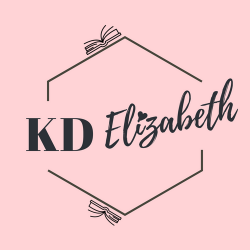 Download the Booksprout app and search for K.D. Elizabeth today! K.D. Elizabeth is the owner of the popular Bookified Etsy store, which sells love letters from book boyfriends to customers all over the world. She splits her time between Pennsylvania and New Hampshire (which has the best lobstah rolls EVER) and has traveled to over twenty countries.